The upcoming Galaxy S8, to be unveiled by the end of the month, has everything it needs to become one of the best smartphones ever - but something is missing, and it wasn't for lack of trying. The Galaxy S8 will have a screen that occupies nearly the entire front of the device, and that means removing the traditional home button with the embedded fingerprint sensor. Since the beginning people were hoping that this meant that Samsung had found a way to place the sensor under the screen or in the screen itself; but sadly, the latest leaks showed that Samsung simply moved the sensor around to the back of the device. Now, new info shows that Samsung indeed tried its best to bring us a Galaxy S8 with a fingerprint reading screen, and that it worked tirelessly with Synaptics to achieve that. Unfortunately, things didn't work out as expected and the technology didn't pan out in time to be used on the Galaxy S8. 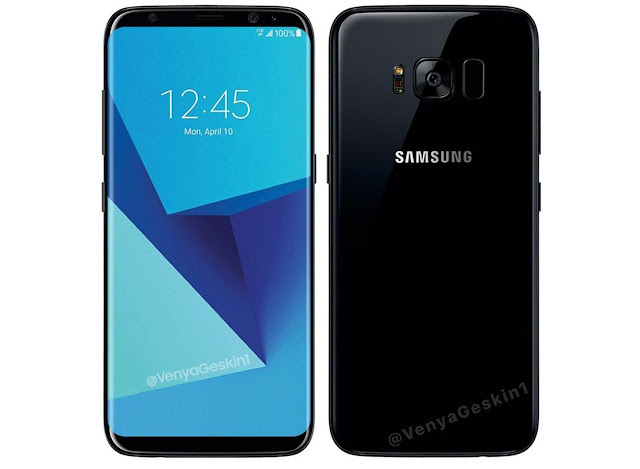 The new S8 still have a long list of arguments that will ensure its (highly likely) success, as even better cameras, screens that will have an amazing 2960x2400 resolution, and so on... but on the fingerprint sensor, there's no denying that moving it to the back will be a sort of sore thumb that reminds users that Samsung was unable to do what it wanted to do - and at the same time, it allows Apple to make the iPhone 8 stand out... should they be able to have that tech working in time to use in on the upcoming iPhone 8 later this year.